First, I listened very closely to the speech made by Ahmadinejad, and in spite of all the vilification by the Jewish run media, this man made sense in everything he presented. He is not seeking any war, or sees any need for war in the Middle East. He wants his country to have the rights to peaceful nuclear power development, which is perfectly allowable under the terms of the IAEA, and absolutely does not see the need for nuclear weapons. It is a fact that over the last few weeks the state of Iran has called for the removal of all nuclear weapons out of the Middle East entirely. It is no surprise that the criminal state of Israel has been vilifying this man, because he is telling truth! Now we turn to the colourful and very artistic speech made by the absolutely insane Prime Minister of Israel. Within the first few minutes of this man opening his mouth, anyone could see that he was lying through his teeth. His talk about the greatness of Israel almost made me vomit. He claims that the world is a better place because of Israel, when in fact it is to the absolute contrary. We have seen over and over again since the inception of the criminal state of Israel in 1948 nothing but wars and terrorist acts committed by these Jewish bandits. Milikovsky then went on to present his very hilarious "bomb" diagram outlining his "red line" for an attack on Iran. I and others have never seen such a cartoonish display by this criminal, and the world is now supposed to accept the idea of a "red line" for an attack on Iran based upon a nuclear weapons program that does not even exist, while the Jewish state had crossed that "red line" itself back in the 1960's with the development of their own nuclear weapons. The hypocrisy was so incredible coming from this maniac, that I basically could not take any more of his bull crap after a certain point. Only later was I able to view the rest of his insane rant over Youtube. Basically, I have had enough of the sickness of Israel, and if they are so insane and intent on attacking Iran, then I say go right ahead. But do NOT expect any help or sympathy from the rest of the world that is now waking up to the fact that Israel itself is a sick nuclear armed pariah nation. It is my hope that if the Israelis are that stupid to try to attack a nation that is more than their match, that they get a thorough whooping. I have watched the entire world begin its slide towards that global economic collapse for quite some time, and from what I see happening in Europe, that collapse is coming rapidly. The Spanish have become the newest nation in financial dire straights and their government calling on the IMF for a bailout. It is my hope that the Spanish people say NO to criminal banking "austerity" and to take the path that Iceland took by refusing the demands of the Rothschild led IMF. The Spanish must look upon what happened in Greece where the Greek government failed to listen to its own people and refuse the "austerity" measures imposed by the criminal IMF. The result is that right now Greece is an absolute disaster. I am continuing to watch the absolutely ridiculous American Presidential campaign for the Jewish controlled White House. Someone asked me if I saw that article earlier this week where Willard Romney asked the laughable question as to WHY no one could open a window on an airplane. I saw it, and I laughed for hours and thought to myself.... How the hell did this buffoon ever get this far in life, let alone want to become President of the United States? Don't get me wrong.. Barry Soetoro is absolutely not any better. America has suffered for the last 4 years with a queer Communist as their President, and it does look like they will suffer another 4 more.... And when it comes to who loves Israel the most, I would say both still pucker up to their Jewish masters when ever they are called upon to do so! Someone asked me this week if I was religious at all... I explained my position on religion a very long time ago, and it seems that I have to state it again... I am not religious at all, period. I look upon religion as a crutch that has slowed down mankind's development for centuries. Do not get me wrong though, because some of the concepts that religion does promote such as "Love, Sharing, and Compassion" for fellow human beings should be something that ALL people strive for. You do not need any religion to teach those fundamentals at all. And when it comes to the concept of "God"... I do not need any "man in the clouds" or any murderous psychopathic "god" such as the false god, Yahweh, to guide my existence. Many people have noticed a slow down in terms of the articles I have been producing at this blog. I said before that to avoid burn out, I had to take it more easier over the last few months. With so much on the go in terms of my job and personal life, I have had to put this blog more and more on the back burner for the last while. But fear not, I am still around and kicking.... Sorry to disappoint you, Hasbara agents! Snordelhans On A Roll: Great New Video Entitled: "Benny Netanyahu's Magic Marker And The Red Line!!!" NTS Notes: Again, Patrick Willis does not disappoint. This latest video hits home exactly what everyone should be aware of by now... That the Israeli criminal Prime Minister is nothing but a bold faced liar and is the real danger to the planet today. It is a fact that if Israel wants to impose their sick "red line" on the country of Iran that does NOT possess nuclear weapons, then they should be willing for the entire world to impose the same "
red line" conditions on the criminal state of Israel as well. But Israel is a two faced criminal nation of liars that already possesses hundreds of nuclear weapons, and wants that nuclear hegemony over the entire Middle East to keep threatening their Arab nations, and the entire world as well. That type of sickness has to be stopped at all cost. It does appear that things are finally reaching the breaking point when it comes to Israel's vain attempts in getting their psycho war against the innocent and peaceful nation of Iran off and running. We have already seen the truly insane Israeli Prime Minister, Benyamin Milikovsky, with his outrageous and laughable speech made at the United Nations General Assembly call for red lines on Iran to have the world attack Iran for its non-existent nuclear weapons program. The real hypocrisy is of course that the criminal Zionist nation itself has surpassed said red lines already, but the world is supposed to ignore that fact and stay focused on Iran instead. It was also comical to see this criminal put up a card with a cartoonish "bomb" to drive his points home. It seemed that the Israel props department got its artistry from American cartoons like "Rocky and Bullwinkle", as well as "Wile E Coyote and the Roadrunner." But while all that was happening, there was a cyber-attack taking place against Jewish controlled banks across America. These attacks were obviously done by Israeli programmers, because the attacks were instantly blamed on "Iranian terrorists". It does indeed appear that the Israelis are again opening up something new in their bag of tricks to get their twisted and sick war against Iran going! NTS Notes: As stated in this video, it should be so obvious by now exactly WHO is behind this so called cyber-attack against American financial institutions. We have seen the criminal Israelis with their Stuxnet, Flame, Duku, and various other computer virus creations over the last few years directed against a wide assortment of targets around the world, so for them to invent this latest creation and purposely aim it at the Jewish controlled American banks and blame it on Iran does not surprise me one bit. Please take this video, and pass it around for everyone to see for themselves. People must be put on alert everywhere that the Israelis are trying this latest sick attempt to get the war against Iran going. It is up to us again to stop them cold in their tracks! In communist Yugoslavia there were some taboo themes whose very mention raised the suspicion of enmity against the regime. The entire state and party machinery contributed to an organized ignorance of these themes and organized non-repentance for them. One of these subjects was Bleiburg. The relative silence about Bleiburg lasts until today, because the former communists, and their children, make great efforts in preventing the whole truth about that horrible slaughter to be widely known. But, as Cardinal Bozanić said in his speech in Bleiburg on 13th of May 2007, the Croatian nation has the right to know the truth about the suffering of their own people in Bleiburg and on their subsequent Way of the Cross, where mass crimes were committed with the knowledge, consent and order of the top officials of the "democratic" Federal State of Yugoslavia led by the supreme commander of the Yugoslav People's Army, the first secretary od the Communist Party of Yugoslavia and the president of the "democratic" Federal State of Yugoslavia - Marshal Josip Broz Tito. on 14th, 15th and 16th of May 1945? On the 4th of May 1945 began the exodus of the greater part of the Croatian Armed Forces and civilian population westwards in order to surrender themselves to the Allies before the advancing communist partisans. According to the British war archives (War Office 1704465) towards Bleiburg, at the Yugoslav-Austrian border, were approaching altogether 200,000 Croatian troops which accompanied and protected about 500,000 civilians , with the intention to cross over to the British-controlled territory, to surrender to the British and put themselves under British protection. This part of the Croatian mass exodus arrived on Loibach Field in front of Bleiburg in the afternoon hours of the 14th of May , where the commanding officers of the Croatian Armed Forces led by General Herenčić established contact with the command of the British unit which was stationed there and told them, that they wanted to surrender to the British Army and to put the civilian population under British protection. The British commending officer replied that he had been informed of the coming of the Croats , and that the Croats would be allowed tomorrow to continue their march towards the West and to keep their arms. However, next day on the 15th of May the whole situation changed. The reversal happened after the political adviser of the Supreme Allied Commander for the Mediterranean Field Marshal Harold Alexander , with his seat at Caserta near Naples, Harold MacMillan, directly responsible to the British Prime Minister Winston Churchill, on the 13th of May 1945 in Klagenfurt ordered to the commander of the 5th Corps of the British 8th Army, General Charles Keightley, that "a great number of the renegade Yugoslav troops, excluding the "chetniks", should be handed over to the Yugoslav partisans." That order was contrary to the promise given by Field Marshal Alexander that the Allies would receive as war prisoners the Croatian troops after these surrender their weapons. This promise was given by Alexander to a representative of the Holy See, when Pope Pius XII, at the request of the Croatian Cardinal Stepinac, intervened with the Allied Commander to save the fleeing Croatian people. That the intention of the partisans was to prevent the surrender of the Croatian refugees to the Allies could be concluded from the following telegram sent by Tito, as the supreme commander of the Yugoslav Army, to his troops on the 13th of May 1945, that is after the end of the war. The command in the telegram ran as follows: "The Third Army reports that on the area Konjice Šoštanj towards Dravograd there is a group of "ustashas" (the word in Croatian means "insurgent") with some "chetniks" (Serbian soldiers loyal to the king) , altogether over 50,000 persons. With them are Pavelić, Maček, members of the Croatian Government and a great number of criminals. They are trying to cross over Dravograd and to surrender to the English. One division of General Kosta is holding the area of Naravosinrodo, and the other has near Šentilj cut the road between Velenje and Dravograd. You must at once go forward with your forces from the Celje region in the direction Šoštanj – Sloven Gradec in order to concentrate the attack to destroy this group. "(The original cable is kept in the Military-Historical Institute in Belgrade). We must add to the above telegram what Tito's general Kosta Nađ, who at that time commanded the Third Army which was responsible for the fate of the Croatian soldiers and civilians, told the Belgrade weekly "Reporter" on the 13th of January 1985. In that interview Nađ said, that at that time 150,000 enemies fell into his hands, and that "of course, at the end we liquidated them". Nađ added that he had immediately reported to Tito about this "success", and that it was "the last war report in the Second World War". However, let us return to the negotiations at Bleiburg. The commander of the 8th British Army which occupied those parts of Austria was General Sir Richard McCreery, and the commanding officer of the 5th British Corps was General Charles Keightley. Two Croatian Armies which together with civilian population were withdrawing towards the British troops in Austria counted on the 13th of May 1945 17 divisions (over 200,000 men). At 9 a.m. on the 14th of May 1945 the Croatian liaison officer of Jewish extraction Deutsch-Maceljski offerred to the British the surrender of these two armies and of the civilians. We must keep in mind that the Second World War had already ended. The British procrastinated with the negotiations until Tito's negotiator Commissioner Milan Basta and the British negotiator Brigadier Patrick Scott succeeded in cheating and intimidating General Herenčić that the Croatian Army lay down its weapons and raise the white flags of surrender. The surrender to the communists began on the 15th of May 1945 at 4 p.m. This was in keeping with the order given by MacMillan and Harold Alexander to hand over the Croats to Tito's commuinists. According to the eyewitness report of the Dominican priest Drago Kolimbatović, during the surrender English soldiers were lying at the rims of the meadow with machine-guns pointing at the Croats. Kolimbatović further states:" What followed was a bitter experience which we could have expected from the wild Bushmen but never from the cultured Englishmen. Under the pretence of checking whether we were hiding weapons, their soldiers indulged in robbery. They took away all golden and valuable objects which some of the Croats carried with themselves in order to ease their hardships in foreign lands." Kolimbatović summarizes the behaviour of the British in the following words:" In the English instead of refuge, we found executioners." (Quoted from the weekly "Glas Koncila" of 13th May 2007). In order that the British perfidy be even greater , Fieldmarshal Alexander sends Tito a strictly confidential telegram on the 16th of May 1945, that is one day after the surrender of the Croats to the Yugoslav communists, telling Tito that the British would like to hand over the Croatian prisoners to him and asking Tito, whether he agrees with this proposal. Tito replies to Alexander on the 17th of May that he had received his telegramme concerning the proposed handover of 200,000 "Yugoslavs" and that he (Tito) consents with gratitude to this proposal. All this was happening after the Croats had already been extradited to Tito's communists and after many of them had already been slaughtered. What has actually happened on the 15th of May 1945, the day of the surrender ? When after the laying down of the weapons Tito's partisans were certain that their victims could no longer defend themselves and that the British did not intend to intervene (the British, namely, threatened that they would bombard the Croatian troops and civilians if the Croats did not immediately lay down their arms), the partisan commissioner Milan Basta, a Serb from Lika, issued his order. What thereupon followed could be described only by those who were present at that apocalyptic massacre. Here is the testimony of one eyewitness. "Men, women and children were falling down in sheaves while the partisans were mowing left and right with their machine guns over the open field. Soon so many people were slaughtered that the partisans ventured to descend among the survivors and with visible pleasure to beat them to death, to kick them with boots and to stab them with bayonets." (Report of the eyewitness Ted Pavić in Nikolaj Tolstoy's book "The Minister and the Massacres", London 1986, p. 104). Another eyewitness Jure Raguz reports, that in his vicinity he saw a desperate Croatian officer shoot his two small children, a boy and a girl, then his wife and in the end himself (quoted on the above indicated page). When the slaughter at Bleiburg was finished on the 16th of May, the remaining mass of disarmed and frightened Croatian prisoners was driven on foot into Yugoslavia, to the blood-fields of Kočevski Rog and others further on, on a death march known as the "Way of the Cross". A Slovenian Franc Perme in his documentary book "Concealed graves and their victims" proves, that in the first days after the end of the Second World War, only within the area of Slovenia, therefore outside of Austrian Bleiburg, 189,000 Croats were killed, and further 144,500 died in the death columns on the Way of the Cross from the Slovenian-Croatian border to the Romanian border. As regards Kočevski Rog, a place in Slovenia, the Croatian daily "Slobodna Dalmacija" on the 12th of September 1999 printed the statement of Albert Svetina, the first party secretary (1944-1945) of the Slovenian branch of the odious secret service OZNA (later called UDBA), that at Kočevski Rog the communists killed at least 40,000 persons , men, women, and children. Among the executioners at Kočevski Rog especially prominent were soldiers of a company numbering 60 to 70 members which belonged to the 26th Dalmatian division. These threw their victims into deep gorges, some of the victims still alive and with their hands tied by wire, some of them already dead. This company was commanded by Captain Nikola Maršić, and its deputy commissioner (ideologico-political function) was Albert Štambuk. This company was protected by the 11th Dalmatian brigade. According to the report of one eyewitness, a young partisan, member of the 11th Dalmatian brigade, during his stay of eight days at Kočevski Rog 30,000 to 40,000 prisoners were killed and thrown into two neighbouring mountain ravines. According to the testimony of the Slovenian secret service (OZNA) official Zdenko Zavadlav a group of killers headed by Simo Dubajić were especially zealous in the slaughter of Croats. Zavadlav said that the order to kill the enemies came from the very top, because the revolution was still lasting. (Sunday's daily "Jutarnji list" of 25th of May 2003). It should also be added that the British General Keightly on the 24th of May 1945 handed over to Tito also those Croats which were sheltered as refugees in the Austrian refugee camp Viktring. Probably after hearing about mass killings and massacres committed by Tito's soldiers to the extradited Croats, Field Marshall Alexander issued on the 4th of June 1945 an order about the so-called new army policy regarding the "Yugoslavs" to be implemented at once. That order forbade the extradition to Yugoslavia or to the Yugoslav troops of any "Yugoslav" against his or her will, and that all those "Yugoslavs" who carred arms against Tito would be treated as surrendered persons and sent to Viktring Camp in Austria. Unfortunately, for many so-called "Yugoslavs", soldiers and civilians, this Alexander's remorse came too late. Which crimes were committed at Bleiburg ? Here we put the question of legal qualification of criminal offences committed by the British and the Yugoslav communist armed forces at Bleiburg and of the accountability for those crimes. Although Bleiburg is a small part of those heinous crimes committed by the Yugoslav communist army after Bleiburg, at Kočevski Rog, on the death marches and on many other places, we shall limit our presentation to the crimes committed at Bleiburg. The act of the British commanders at Bleiburg of handing over to the Yugoslav communists the Croatian soldiers and civilians who surrendered to them is almost without precedent in the history of civilised nations, and it is contrary to the provisions of international convention and customary law of war. When they surrendered at Bleiburg, members of the Croatian armed forces acquired the status of British prisoners of war and the Croatian civilians that of asylum seekers, in consequence of which there arose between the Croats and the British mutual rights and obligations prescribed by international law. These rights and obligations are especially set out in the Geneva Convention of 27th of July 1929 on the procedure with prisoners of war, which was applicable at that time. This Convention was signed, among other states, by Great Britain and the other participants in the Second World War. In January 1943 the Independent State of Croatia acceded to the Convention through the for this purpose competent Swiss Allied Council. In accordance with the provisions of this Convention Great Britain had to take care about the safety of life of its Croatian prisoners of war, protect them against violent acts (art.2) and settle them in areas sufficiently distant from battlefields to put them out of danger (art.7). The objection cannot be admitted that Great Britain did not have that obligation in view of the fact that it did not formally recognise the Independent State of Croatia, because Great Britain was properly informed about the accession by the Croatian State to the above mentioned Convention, in consequence of which it had an unconditional obligation based on international law to protect the imprisoned Croatian soldiers. Great Britain could perhaps use another pretext for extraditing its Croatian prisoners of war into Tito's hands. The above mentioned Geneva Convention was unilaterally altered to a certain extent by decisions made during the war by the four great powers, USA, Great Britain, USSR and France. According to these alterations the so-called war criminals which could be found among prisoners of war could be extradited for trial and punishment to any allied state which demanded that. After the end of the Second World War the above mentioned four great powers concluded in London in August 1945 an "Agreement for the court proceeding and punishment of the main criminals of war of the Axis states" to which also a Statute was appended. On the basis of this agreement an International Military Tribunal was set up to try those war offenders "whose offences cannot be localised to particular countries"(art.1). That London Statute for the International Military Tribunal was later in March 1947 approved by the United Nations' General Assembly. However, this pretext also is untenable. First of all, when the Croatian soldiers were handed over to Tito's partizans (mid-May of 1945) the mentioned London Agreement had not yet been concluded, nor did any circumstance arise which would derogate the provisions of the 1929 Geneva Convention on prisoners of war.In addition to that, Great Britain did not extradite to the communists persons which were suspected of being so-called war criminals, but handed over to them the entire mass of prisoners of war and the entire civilian population which sought asylum against the Yugoslav communists. That the English even before the extradition knew that Tito's communists kill all those persons whom they thought could be an obstacle to their absolute rule is evident, among others, from a confidential report of the British Legation to the Holy See sent on the 11th of May 1945, i.e. four days before the Bleiburg extradition of the Croats, to the Britsh Foreign Secretary Anthony Eden. In the report it is stated:"Soon after the occupation of each town and village, the partisans introduced a terrible dictatorship of the communist party. They began with the "liquidation" of all "suspicious" elements or such as seemed so to them….. Intending to introduce in liberated Yugoslavia the dictatorship of the communist party, they must – so they thought – above all eliminate all leading personalities who didn't agree with communist political aspirations. In keeping with their decision, they sought (everywhere they became masters of the public life in the liberated parts of Yugoslavia) those who enjoyed among the people some importance or esteem; they arrested them and, without trial, they shot them or deported them to concentration camps, where they – it seems – killed them later. The aim of such actions of the Yugoslav partizans is evident; they intend to eliminate all those men of the nation, who could one day hinder them in their effort to bolshevize liberated Yugoslavia Among those are certainly the Catholic priests, who enjoy among the people high esteem and authority and who are in fact spiritual leaders, especially in Croatia and Slovenia" (quoted from page 3 and 4 of the report). Then on 16 following pages the writer describes the slaughters by Tito's partizans in Dubrovnik, Metković, Ljubuško, Makarska, Mostar, Široki Brijeg and Sinj. And yet in spite of this knowledge, only four days after the writing of this report, the British at Bleiburg send the Croatian civilian asylum seekers and prisoners of war back to their certain death at the hands of Tito's partizans. The responsibility of the British military authorities for the unheard of slaughter of the Croats at Bleiburg and after it on the death marches throughout Yugoslavia does not in any way diminish criminal responsibility of the partisan army and its commanding officers. The partizan army and its commanders, including its supreme commander Tito, are without any doubt responsible for war crimes and crimes against humanity by breaking the provisions of international law of war. However, we may ask, whether they committed also the crime of genocide against the Croats? According to the words of President Mesić which he spoke at Jasenovac in 2005, "those killed at Bleiburg are victims, but they are not innocent of other crimes". May we ask, what is the guilt of the children, women, old men , or of the great number of Croatian soldiers, some of them still merely military cadets, which were mercilessly and without trial slaughtered at Bleiburg, Kočevski Rog and the other stations of the Way of the Cross? And those other words of Stjepan Mesić, the man who earlier in his life was a zealous communist, sound also unbelievable when he in 2007 said that at Bleiburg were killed those who were responsible for the camp of Jasenovac. Although the crimes committed at Jasenovac by the "ustashas" ought to be condemned, as well as the partisan crimes committed in the same camp of Jasenovac after the fall of the Independent State of Croatia, to say that the civilians, women and children, and all the Croatian soldiers massacred at Bleiburg and after it were responsible for the "ustasha" crimes at Jasenovac, is incorrect and unworthy of the president of the Croatian State, who ought to be the president of all Croatian citizens and not only of those with whom at festive gatherings he sings the well-known partisan song "across the forests and the mountains". We have another example of distorting the truth and of underrating the intelligence of the citizens of Croatia when the former communist public prosecutor downplays the crimes committed by the communists by saying, that after Bleiburg only 12,000 to 14,000 persons were killed. The truth is that only at Kočevski Rog twice that number were murdered. But let us return to our question, whether at Bleiburg , and on the death marches which followed, the crime of genocide was committed. According to the 1948 Genocide Convention the crime of genocide consists of acts committed with intent to destroy, in whole or in part, a national, racial or religious group as such. These acts include killing members of the group, causing serious bodily or mental harm to members of the group, deliberately inflicting on the group conditions of life calculated to bring about its physical destruction in whole or in part, imposing measures intended to prevent births within the group, forcibly transferring children of the group to another group. For an act of genocide , therefore, two preliminary conditions are required, the criminal act (actus reus) and the criminal intent (mens rea) that a national, ethnical, racial or religious group as such be destroyed, in whole or in part (art.II of the Convention). And that is what actually happened at Bleiburg, Kočevski Rog, other stations of the Way of the Cross accross Yugoslavia, Macelj and numerous other pits and crevasses which are almost every week being discovered in Slovenia and Croatia. It happened what Fotić, the Serbian ambassador in Washington, told Bogdan Radica during the Second World War, that after the war at least one million Croats should be killed in order that a "biological balance should be established with the Serbian victims". A similar view expressed Tito in 1959. When asked in his private retreat on the island of Brioni by the world-famous Croatian sculptor Ivan Meštrović about the mass slaughter of the Croats in the spring and summer of 1945 Tito replied :"It couldn't have been evoided. We must have allowed the Serbs to have their fill." The saying of Milovan Đilas about the innocent Croatian victims of communism is well known, that they had to die in order that Yugoslavia could live. All this is in conformity with the instruction which Lenin on 8th of June 1919 gave to Slanski, an agent of the Soviet secret police CHEKA:"What a shame it would be to show ourselves indecisive by stopping with firing-squad executions because of a lack of the accused. "The only "guilt" of the vast majority of those killed was that they belonged to the Croatian people and were members of the Catholic Church. These crimes have been committed even against the innocent people because they wanted their own independent state. There is, therefore no doubt that the partisan army has committed in this case the crime of genocide with the knowledge and order of their political and military leaders, with Josip Broz Tito at the top. atrocities and the punishment of their perpetrators? The Parliamentary Assembly of the Council of Europe adopted on 25th of January 2006 a Resolution for international condemnation of crimes of totalitarian communist regimes. In the Resolution it is stated that the totalitarian communist regimes are, without exception, characterised by massive violations of human rights which include individual and collective assassinations and executions, death in concentration camps, starvation, deportations,torture, slave labour and other forms of mass physical terror, persecution on ethnic or religious grounds, violation of freedom of conscience, though and expression, of freedom of the press, and also lack of political pluralism (item 2). The Resolution further points out that the fall of totalitarian communist regimes in central and eastern Europe has not been followed in all cases by an international investigation of the crimes committed by them, and that the authors of these crimes have not been brought to trial by the international community, as was the case with the horrid crimes committed by National Socialism (Nazism) (item 5). The Assembly is convinced that the awareness of these crimes is one of the preconditions for avoiding similar crimes in the future, and that moral assessment and condemnation of crimes committed play an important role in the education of young generations (item 7). The Resolution calls on all post-communist parties to distance themselves clearly from the crimes committed by the communist totalitarian regimes, and to condemn them without any ambiguity (item 13). We can ask now why in today's independent and democratic Croatia is lacking an effective condemnation of the crimes committed by the communists at Bleiburg and in Croatia during and after the end of the Second World War? Answering the above question it should be at the outset unambiguously stated that communism, which killed over 100 million people in the world, did that in accordance with its ideological tenets and not contrary to them. The slaughter and killing were not committed by those communists who misunderstood their marxist dogmas, but by those who were faithful to their marxist ideology. The communists did not kill because of their ideological "deviation" from the authentic marxist philosophy, but because of their thorough indoctrination with marxism. The sociologist Klaus Jacobi puts Tito in the unenviable 10th place of the list of so-called "megakillers" of the 20th century, because Tito in peacetime , i.e. after the end of the Second World War, ordered approximately one million and one hundred thousand persons to be killed (see the Croatian daily "Večernji list" of 13th of September 2003). Tito didn't do that primarily because he was an evil man, but because he was first of all a good communist . The very essence and faithful implementation of the marxist dogmas are the source of Leninism, Stalinism, Maoism, Titoism, and of the other historical forms of communist totalitarianism. If you are convinced that you and your party are the carriers of the bright and progressive future of mankind, and that everyone who does not agree with you hinders the progress of the human race, then you can easily persuade yourself to "liquidate" those "enemies of the people" without the slightest pangs of conscience, and to hate them , as Tito's comrade-in-arms and communist ideologue Milovan Đilas put it, with "a noble hatred" (his article in the communist newspaper "Borba" on 8th of October 1942). Then into that category of "enemies of the people" you can put all those whom you hate on national, racial, class, religious and even strictly personal grounds. Let us now turn to our question, why even today in the democratic, pluralist and independent state of Croatia there is no effective condemnation of communist crimes, why the persons who committed those crimes, and who live unpunished among the offsprings of their victims, are not brought to justice, since many of the crimes are not time-barred, and why the implementation by the Croatian "Sabor" (Parliament) of the Resolution for international condemnation of crimes of communist regimes was extremely lukewarm and half-hearted. I think that the answer to these questions should be sought in a number of circumstances. First it is psychologically understandable that it is very difficult to the former communists to admit that they served the bloodiest utopia in the history of mankind. If they admitted this, they would have to repent before the people and their own conscience for many things, such as spying on their fellow citizens and informing the secret police about them, for killing and torturing "hostile elements", imprisoning them without trial, or for being cowardly silent while the communists persecuted their neighbours, threw them out of their jobs, for the only reason that these victims did not want to live under an oppressive totalitarian regime. Because the Croatian Government has not held these people responsible for their crimes, from the prison torturers, the executioners at Bleiburg and other slaughter-fields, to those at the top of the party and state nomenclature who ordered these crimes, it has strengthened them in their illusion, that they are not accountable for these misdeeds. So it comes that these ex-communist dare even today to praise Tito, the man who is primarily responsible for the genocide at Bleiburg and the crimes committed by the communists thereafter. These former members of the communist party and their children occupy today the leading places in politics, courts, schools, media, army, intelligence services, public prosecutor's office etc. They hinder or slow down the process of democratization of the Croatian society, and try to hide the truth about the suffering of the Croats during and after the Second World War. We must, therefore, agree with the following text of the editor of the Croatian Church weekly "Glas koncila" rev. Ivan Miklenić:"In its 15 years of independent existence Croatia, regardless of its governments and governing parties, not only has not had the stamina, but has even lacked the slightest will to confront itself with the terribly black and enormously sad side of its past. All organisations which claim to defend and promote human rights have failed in this task, and the public media have sometimes in a sophisticated way prolonged the life of some ideological forms of totalitarian communism, instead of unmasking it and freeing the Croatian society of those inhuman, unfree and criminal shackles…. Yet inspite of this fact, if the Croatian society wants to become really democratic , it shall inevitably have to confront itself with those facts of totalitarian and criminal communist ideology, to rightly appraise them and to take care that they never be repeated." ("Glas koncila" of 4th of Bebruary 2006). The English writer J.B. Priestley has written about his compatriots the following lines:"The reputation of the English Establishment and its admirers for smug self-deception, hypocrisy and perfidy, has long had some notoriety in the outside world.We are famous for our pious treacheries." ( "What happened to Falstaff", in "Essays of five decades", Penguin Books 1969). Let us add in confirmation of this opinion that the British army in Austria sent at the same time a great number of Cossak soldiers, their wives and children, who had fought against the Russian communists, into their certain death by handing them over to the Soviets, although these people were never Soviet citizens, having emigrated from Russia during the communist October Revolution. That was contrary to the Yalta agreement of February 1945 that only those prisoners of war who are Russian citizens should be extradited to the Soviets. A great majority of the Cossaks were after their extradition either killed , or perished in the Soviet Siberian concentration camps, what those who extradited them ought to have known. This however should not astonish us, because during the 1896 Boer Wars in South Africa England set up a chain of concentration camps in which wives and children of the Boer fighters were imprisoned and tortured with hunger in order that their husbands should be psychologically induced to surrender. Or, to mention another example, in order to conquer Ireland England in 1847 caused in Ireland a terrible starvation which killed every fifth Irish citizen. Although much has been written about Bleiburg and the death marches which followed it, we still do not have a complete picture of what happened there, because the British archives as the most important ones are still not accessible to the public. According the the British legal provisions the strictly confidential military and intelligence documents relating to the Second World War are not available to the public for 75 years. Hence, these documents will be available in 2020 at the earliest. In this entire tragedy of the Croatian people one historical irony cannot escape the attentive observer. The Croats are the only European people who in their recent history moved from the West towards the East of Europe, when after the First World War they severed their state bond with the Austro-Hungarian Monarchy, and hastened towards their eastern neighbours to set up new state ties with them, thereby obeying the wish of Great Britain and other tailors of post-war unnatural state structures in Europe. Later, as a nation fleeing from these same eastern neighbours, the Croats knocked at the doors of the West to save themselves, with the experience which they had at Bleiburg, where the British policy sent them once again to their eastern neighbours, now not to the Serbian Karadjordje monarchists, but to Tito's communists, where massacres and death awaited them. Therefore by bringing up the subject of Bleiburg and of other communist slaughter-fields , we want to contribute to settle the questions of truth and justice, which are essential for every democracy. Without an answer to these questions there cannot be a healthy democracy in Croatia. For it is crime to conceal crime. Again, I had never even heard of the Blieburg Massacre myself until very recently. It shows again how these parts of real history that show the so called "victors" of the second World War as mass murdering criminals are kept out of our so called "history books".... The victors always write the history. The fact is that the British refused to allow these civilians to escape the Communists under Tito, and are therefore guilty of either being accessories to, or allowing, the slaughter of some 300,000 innocent men, women, and children. It is no wonder that you never see the Blieburg Massacre in any of our so called "history" books. I agree with the author of this article that the government of Croatia should allow for full research and full disclosure of the truth about this massacre to be seen by everyone. Everyone deserves to know our real history and not the bull crap that has been spoon fed down our throats for centuries. Definitely another sad piece of our hidden history that everyone deserves to know about. It does beg the question though: How many more of these horrific massacres are being kept purposely out of our history books? The Real Truth About The Fraud Called "Wikileaks": PressTV Exposes Assange-Mossad Ties! The aftermath of the last world altering months may mean life or death, war or peace for millions, perhaps the entire world. Real conflict in Syria, the attempts by others to expand regional conflicts, tribal feuds and ethnic rivalries into war of aggression is becoming openly recognized, perhaps for the first time in history. Since the days of Machiavelli, war through deception has been the rule but the information age has made deception a more powerful tool than ever imagined. Perhaps it is time the tables were turned and the “deceivers” were to receive some of the recognition they have, for so long, been denied. Today’s story will involve Julian Assange, Wikileaks, Israel, and the Mossad. Along with Netanyahu, Assange has tried to insert his way into the American election on the side of a losing candidate whose platform is simply war with Iran. Some explanation is needed. His recent statement, theoretically to the United Nations, one attacking President Obama, always sparing any mention of Israel or the rights of the Palestinian people, are cheap showmanship, utter lies and a form of “holocaust flag waving” he learned from Netanyahu. No move has ever been made against Wikileaks by the United States, they and their allies in the paid press and Israeli lobby and intelligence services have had free reign while the kingly live of Julian Assange sheds crocodile tears over the imprisonment of Bradley Manning whose relationship with Wikileaks has become increasingly remote. Nothing at the UN General Assembly meeting or anything else that went on in New York happened the way some wanted. A critical issue is the US election. It shouldn’t be but it is. Currently, Iran and the United States are going through a period of, what many of us hope, will lead to more dialog and even reconciliation. Few Americans are aware of the CIA’s role in the 1953 overthrow of Iran’s government or the brutality of the Shah. However, many Americans remember decades of working with the Iranian people, their friends there and how, one day in 1979, all of that changed. There were Americans in Iran supporting the government’s oppression of the people, part of what was considered a policy justified by the “Cold War” against the Soviet Union. America had forced dozens, many dozens of dictatorships on the people of the world to “oppose communism.” Some of those governments survive to this day, some in the Middle East. This week, from his balcony at the Ecuadorian embassy, Assange unleashed his program, carefully coordinated with the world’s druglords, his “bankster” friends and, closest of all, Israeli Prime Minister Netanyahu, his strongest supporter, one to interfere in the American election on behalf of Mitt Romney. We got to know Assange initially with his video of a US helicopter killing civilians in Iraq. The problem is, of course, Assange supported the war in Iraq, supported a US attack on Iran for Iraq, supported war with Pakistan, supports US interference in Syria and, where he stands apart from most well-informed people of the world, is a lead figure in suppressing an investigation of 9/11. Yet no media outlet ever asked why someone whose official beliefs support war on Islam for Israel would build a cult of personal fame directing world attention to US actions when those actions are commonly known to have been proof of American submission to pressure from the AIPAC lobby that totally controlled the Bush administration. The wars in Afghanistan and Iraq were Israel’s wars, words never to pass Julian Assange’s lips. Assange is a pure Islamophobe. The whole thing is not just a con. When, back in early 2011, it was exposed to the world that all Wikileaks were filtered through Israel and then the “pop culture” mainstream media before release, meaning there is no more censored source of information than Wikileaks, he fell from grace. When the Mossad’s Assange hogs the controlled news, the same way the CIA’s Terry Jones hogs the news with his blasphemies against the Prophet, it is a clear demonstration of how rogue intelligence agencies, how rogue states, no matter how small, how morally decrepit, are able to control the public agenda through orchestration of the media and manufactured drama. Assange, living as a princeling for years, obsesses on his life of imaginary victimization. Not one document has ever been filed in the United States asking a question of Assange much less accusing him of a crime or attempting extradition. In fact, he is totally free to travel unmolested in America at will, or would be except for the risk of extradition to Sweden. In fact, he is totally free to seek political asylum in the United States if capable of making a prima fascia case for political persecution. Assange has many friends in America, the entire Israel lobby, billionaire “banksters” wait to fete him, Fox News has a standing offer to let him openly broadcast on government approved public airways all day every day. As Jones is tasked with making America appear to be a nation at war with Islam, something that ended with the election of President Obama, Julian Assange is tasked with selling Iran as a threatening nuclear power. Assange, Murdoch and Netanyahu are as “of the same mother,” perhaps one not of human origin however. Last week, both President Obama and Prime Minister Netanyahu acknowledged receipt of a letter from IAEA Lead Consultant and the world’s top nuclear weapons expert, Clinton Bastin who plainly stated that no process exists for turning uranium hexafluoride gas into a metal in order to build nuclear weapons. This letter was leaked by Jim Dean with Press TV. Such information, exposing world threatening international corruption is considered “untouchable” by Wikileaks. After all, it exposes Netanyahu as a liar. America can’t do it, Iran can’t do it but a rogue IAEA “related” group whose spokesman, Israeli David Albright hogs the press like Terry Jones and Julian Assange, peddles junk science straight into the New York Times, the same channel Assange used to sell his message supporting war on Islam. For those who never noticed, Julian Assange is the darling of Europe’s ultra-nationalists and “anti-immigration” crowd, seemingly a genetic twin to Andrew Breveik, the Norwegian mass murderer who killed 77 children of party members who supported the Israeli boycott. We started a fire? Who is “we?” We are the freedom-loving people of the world, representing the Non-Aligned Movement, Americans willing to retrench the old “policeman of the world” foreign policy and those who politically stand on the front lines, groups like “Occupy,” that stand up for the “99%” or the “47%” as Romney told his audience of guests largely from Israel during his secretly recorded private dinner back in May. It is you and me. What is “their plan” for useless eater, the invisible faces behind Romney and Netanyahu, behind Koch and Adelson, behind Terry Jones and Julian Assange? Their goal is a decline in world population, overtly through manipulation of food supplies, fuel prices, currency collapses and orchestrated war. 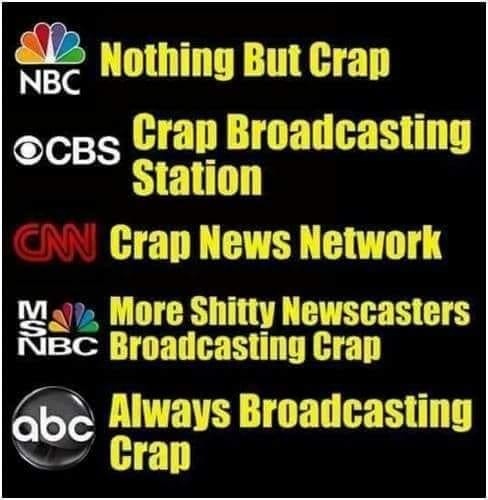 Their real agenda goes much further, well into the conspiracies we see on the Internet and beyond, manipulated weather, genetically modified foods, billions spent on bio-chemical warfare in the US, Israel, Britain, Russia and elsewhere that is totally unregulated and never explained. No one is touching these questions, real conspiracies, all tied to well-established policies of those secret societies whose agenda has long been public, the need to end population growth or drastically lower its levels, the desire to control all human information and a willingness to suppress technologies, manipulate wars and destroy economies to bring about a world no one admits to wanting but that so many “respected” national leaders are more than comfortable with. President Ahmadinejad has suggested that the NAM (Non-Aligned Movement) may well be the real United Nations. No Western leader will acknowledge the key issue, that five nations, leftovers of feudal nation states or newfound economic neocolonialists, warring over the world’s resources, represent national interests that can only exist if dialog is stifled, if dissent is crushed, if human aspirations are denied. It was no accident that the current financial collapse in the West was engineered to leave no option but war, increased oligarchical rule, and descent into brutalization and totalitarianism in order to feed what is perceived as the “too big to fail” economic model that has bred generations of poverty. That poverty is now engulfing even the United States, where fully 25% of Americans suffer malnutrition and where 85% know real poverty at some time during their lives. Nearly half of the citizens of what had been the greatest economy in the world live “one paycheck” from disaster. As long as our attention is “bought” so cheaply, like the blood of the innocents, bought by the braying of narcissistic asses, the gifts of the ruling elites to us, the useless eaters, the underlings, those not yet chosen for slaughter, those of us yet to be fully bled, we empower our predators. They lead us to feed on our own and we offer them only thanks. NTS Notes: OK, I will not gloat, but I fingered this fraud called "Wikileaks" from the very beginning, and I tried to warn everyone for the last few years that it was a Mossad operation of disinformation. It is too bad that many still fell for this con, but it is better late than never to finally wake up and realize that they are not alone, and many others had been conned as well! Must I again remind everyone the motto of the Mossad: "By way of DECEPTION, Thou shalt do war!". "Wikileaks" does indeed fit their motto very nicely as a weapon of mass deception! Important Health News: Yet More Studies Link Fluoride To Brain Damage! I and others in the real truth movement have always wondered why the American people, and in fact all good people around the world, have not already risen up and taken out the Jewish banksters and gangsters that are out to dominate the planet. It does not make sense that most people are sitting still while the world goes to hell! (NaturalNews) Science continues to provide more evidence that fluoride, which is added to most public drinking water systems in the U.S. as a way to fight tooth decay, causes more harm than good. The Fluoride Action Network said in a press release that a newly discovered and translated study found that fluoride is linked to lower IQ, even at ranges added to U.S. water supplies. Moreover, the group said, fluoridation promoters "misrepresented" data from a recent Harvard fluoride/IQ study. In all, FAN said, 34 studies now link fluoride to lower IQ levels in humans, while scores of other studies correlate fluoride to learning and memory impairment, fetal brain damage, altered neurobehavioral function and altered thyroid hormone levels. "Legislators who mandate fluoridation without carefully considering this research are doing a profound disservice to the health and welfare of their constituents," attorney Michael Connett of FAN said. In a macro review of 27 fluoride/IQ studies, Harvard researchers concluded recently that the chemical's effect on children's developing brains should be a "high research priority," especially in the United States which, they concluded, has never investigated the effects of fluoride on the brain. Advocates of fluoridation; however, misinterpreted the research, then misled investigators in Phoenix, Portland, Ore., Witchita, Kan., and other locations by stating the Harvard research isn't relevant to Americans, FAN said. The advocates claimed that the Harvard study found only a one-half-point difference in IQ, and that the fluoride levels were much higher than Americans normally encounter. "That's wrong," said the group, in its press release. FAN says the Harvard team found that fluoride exposure was associated with statistically significant reductions of seven IQ points - far more than the half-point drop claimed by one advocate, Dr. Myron Allukian. He, along with the Pew Children's Dental Campaign and other advocates like Portland Mayor Sam Adams, have all said the Harvard study focused on fluoride levels of 11.5 mg/l. But, FAN says, only one of the studies was at 11.5 mg/l. The group said the majority of water studies looked at by the team of Harvard researchers examined fluoride levels the U.S. Environmental Protection Agency says is safe - fewer than four mg/l. -- One study, which was sponsored by UNICEF, found that IQ was reduced at just .88 mg/l of fluoride, a level within the "optimal" range added to U.S. drinking water systems for about 200 million Americans. -- Seven studies found reduced IQ levels among children who drank water containing between 2.1 mg/l and 4.0 mg/l, or levels that 1.4 million Americans consume daily. -- Four studies found effects at levels between 1.8 and 2.0 mg/l - levels that over 200,000 Americans drink every day. What's the right thing for government to do? The EPA's conventional approach to risk assessment generally limits exposure to chemical levels that are 10 times less than those known to cause adverse effects. With fluoride levels and IQ, the levels of the chemical in water and urine are, at most, just two or three times more than the amount to which tens of millions of American kids are exposed, the group said. What's more, FAN points out that children who have iodine deficiencies are particularly susceptible to harm by fluoride, adding that iodine deficiency has risen significantly in recent years, now affecting some 12 percent of the U.S. population. "The question legislators should be asking themselves is, 'Do I wait until public health officials catch up with the scientific literature that now shows fluoride can cause serious neurological harm to children, or do I take my leadership role seriously and stop fluoridation immediately,'" said FAN Executive Director, Paul Connett, Ph.D. "I think the latter is the only ethical answer." NTS Notes: I have been warning people for years now to get the hell off of anything that contains Fluoride immediately. This new evidence shows clearly that exposure to that poisonous and dangerous chemical does destroy brain cells! I have to repeat it again for people to understand. These criminals have known for decades that by simply putting poisonous and deadly Fluoride into our drinking water and an assortment of supplements and food, they can make an entire populace docile and unable to rise up against their tyranny. Now with the world teetering on the edge of total financial collapse and at the brink of a new world war that could devastate the planet, it is absolutely imperative that we all take a close look at everything we are consuming, and remove anything that contains even a hint of Fluoride. The time for sane people to take back our planet from these monsters is now! Israeli Prime Minister IS Insane: Presents Laughable Diagram Of An Iranian "Bomb" During Speech To UN! I actually sat down at my computer just a while back, and listened to the entire UN General Assembly speech by the insane Israeli maniac, Benyamin Milikovsky (Netanyahu), and I honestly could not believe what I was hearing... All we heard from this insane lunatic is constant false rhetoric of what dangers the world faces from a "nuclear armed" Iran. Then to top it all off, he presents a diagram of what he claims is an Iranian nuclear "bomb" that is not only laughable, but I actually laughed so hard I fell off my chair. 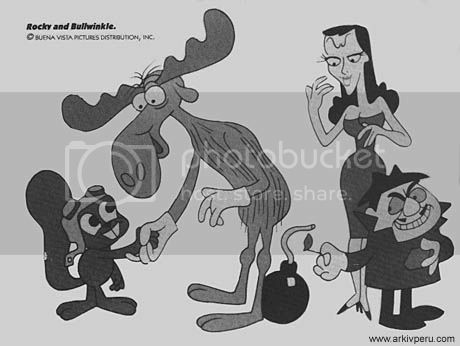 Netanyahu Steals Bomb Diagram From Boris and Natasha.....or Was It From Donald Duck? The yahoo says it is Iran's plans but we know better. Rocky and Bullwinkle cry "Copyright Violation!" 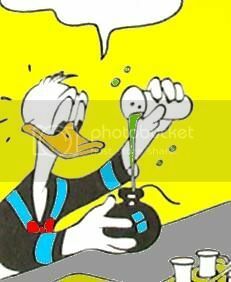 Donald Duck claims Bibi stole the plans from him. The lawyers for Wile E. Coyote are now saying the plans are from their client's custom and proprietary blueprints with Bibi altering the shape in an attempt to hide his dastardly theft. Wile E. is calling for the Acme Co. to suspend all bomb shipments to Israel. NTS Notes: I could not agree with Kenny any more. I am still laughing now even as I type this article! The Warner Brothers' Produced "Roadrunner Show" has its serious competition now, thanks to the clown who calls himself the Prime Minister of the criminal state of Israel. Wile E Coyote could not have done better! But beyond the laughable presentation, we have this absolutely insane nutjob trying to draw a "red line" towards Iran building nuclear weapons... But he fails to mention his own criminal nation with its 350+ nuclear weapons that is NOT a signor of the nuclear non-proliferation treaty, or a member of the IAEA. The hypocrisy showed in him giving his "speech" to the UN Assembly! Why Does Israel Hate Gentiles?